Microsoft's President warns of facial recognition's potential for misuse. Fears that facial recognition software could be misused have led Microsoft to call on the US government to enact regulation to help control how the technology is implemented by businesses and organisations. Facial recognition, using either a photo of a person or through a camera, has been developing at a rapid pace with Microsoft, Apple, Google and Amazon at the forefront of this new technology. 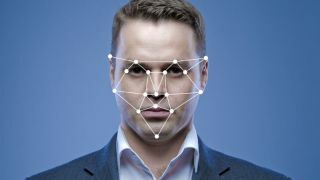 Businesses across a wide variety of industries including hotels and casinos as well as social media firms and law enforcement have already begun to utilize facial recognition in their day to day operations. Opinions on this new technology are split down the middle with supporters claiming that it improves safety for both companies and customers while civil rights groups are warning that it could be used for illegal surveillance and monitoring. Smith's call for a regulatory framework to control how the technology is utilised comes at a time when businesses are being scrutinized over how they share data and for cooperating with government agencies. Whether or not the US government heeds the call to regulate how facial recognition is used, the issue will likely become increasingly important as the technology further develops.